All disease starts in the soil. It's a bold statement, but essentially true. The quality of what we eat - the vitamin, mineral and enzyme content - determines our health. We can't grow strong bodies and robust immune systems without the proper mineral building blocks in our foods. Those building blocks come from the soil and are made available to the plants and animals through soil microbes. So to get nutrient-dense, flavourful, pesticide-free food, we need to make sure our soils have well-balanced minerals, including trace elements, and a lively, diverse community of beneficial microbes. The most effective way to achieve well-mineralised soils is to focus on getting generous amounts of calcium into the soil and the microbes. Most soil tests list the Base Saturation percentages for the positively charged elements Calcium, Magnesium, Potassium and Sodium. These percentages should be around 70%, 15%, 4% and 1%, respectively. Orient your fertiliser program to reach those percentages, focusing on calcium, magnesium, boron and phosphorous. 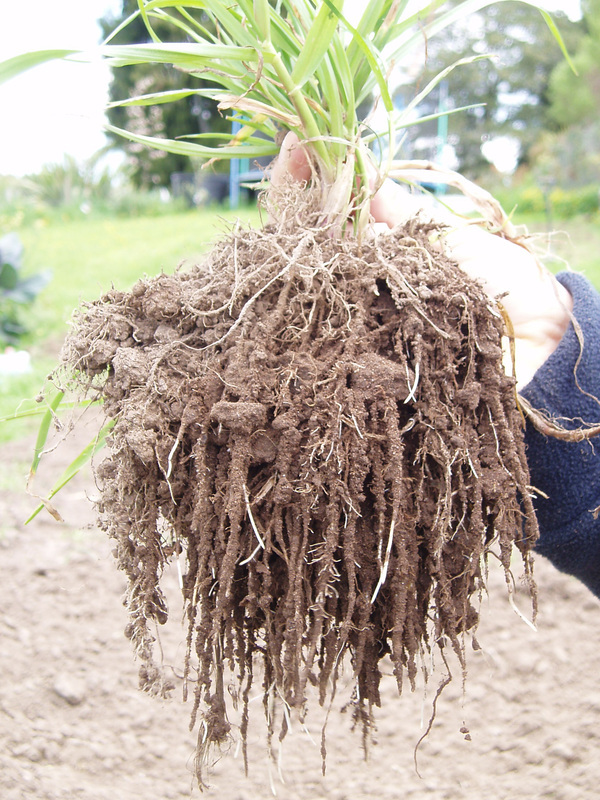 Most New Zealand farming soils already have good levels of phosphorous but it is locked up with iron, aluminum or calcium. ​Soil microbes can break those chemical bonds that are keeping phosphorous locked up. Microbes don't like chemicals, so try to ease off chemical usage where possible - using less eventually helps to make phosphorous and other minerals more available to the plants for better yield and greater nutrient density. Adding a complex carbon source to your fertiliser, such as quality humic acid granules, helps to keep the fertiliser in the root zone and the carbon stimulates growth of the soil microbes. available to the plants and the happier the microbe community will be.... Calcium is King! True Health founder Phyllis Tichinin has extensive soils management experience and specialises in guiding dairy farmers into organic milk production. She is both a biological soils consultant and a certified organic dairy support farmer. Consultations and group education are available if you are interested in moving to quality soils, pastures, animals and milk efficiently. Contact Phyllis on 027 465 1906 or info@truehealth.co.nz. Nutrient Density?! Isn’t this supposed to be about Agriculture? Nutrient density is a term that has come into popular use in the last decade to describe produce and meat that has a higher level of minerals, vitamins and secondary metabolites. So a cabbage which has received full spectrum fertilisation, that has better flavour and keeping abilities and is literally heavier than another cabbage of the same variety and size, is likely to be a more nutrient dense cabbage. This can be tested in several ways. You can use a garlic press and a refractometer to compare the Brix readings of the two cabbages. This is a simple procedure used most commonly by vintners taking the sugar readings of grapes to determine whether they’re ready for harvest. A refractometer reading (number) is the percentage of dissolved solids -the sugar, vitamin and mineral content of the juice. And because these percentages of dissolved solids can vary from a reading of as little as 3% to up to 15-20%, you’d certainly want to choose the cabbage with the 15% Brix reading and get around 5 times more minerals for your money. Some people will argue that refractometers are really only measuring sugar and that’s not really so important to health. First off, having lots of complex sugars in plants is important to the plant’s health and to our health as well. High sugar levels mean the plant is doing a good job of photosynthesis so that it has lots of energy available to eventually create crops with high levels of antioxidants for us. This creating sugar from air and water in the presence of catalysts is one of the most crucial indicators of plant health. Brix is an indicator, not an absolute number. ORAC is the second main way to measure nutrient density. The letters stand for Oxygen Radical Absorption Capacity or, how much free radical trouncing capacity that food has. Since the oxidation caused by free radicals in our body is a major source of aging and tissue damage, keeping our antioxidants levels high and free radicals low is pretty much the foundation of good health … so the antioxidant levels, the actual quality of what you eat, does matter. Agriculture needs to be a quality game not a quantity game. Antioxidants are secondary metabolites – a subset of a larger family of plant molecules known as metabolites. Metabolites are simply the products of metabolism – what organisms produce as they go about normal growth and reproduction. Primary metabolites are compounds like proteins, fats, vitamins, enzymes that our bodies can’t function without. Secondary metabolites are molecules that plants produce if they have enough of the proper building blocks, energy and enzymes to do so. They are not critical to life but they’re important for optimum gene expression. They have been called signalling molecules and research on their potency and complex uses by plant communities is kicking open another door to our understanding of the ecosystem. We are meant to get our secondary metabolites from plants and through the animals that eat plants. When plants have full spectrum nutrition and good growing conditions, they have the right mineral building blocks and enough sugar energy to produce metabolites of ever increasing complexity: from complex carbohydrates to, amino acids, enzymes, complete proteins, fats and finally secondary metabolites. Being able to move their tissues and metabolism all the way through this natural progression of complexity is what makes plants healthy, disease resistant and able to readily communicate and reproduce. This complexity and increased level of minerals and secondary metabolites is reflected in the ‘soluble solids’of the plant’s tissues – what mineral compounds are ‘dissolved’ in plant sap. Pretty much everything in a plant shows up as a soluble solid except fat soluble vitamins. Soluble solids can be measured by a refractometer – they are the Brix level. A 2003 analysis by Royal Society of British Chemists and the British Ministry of Agriculture of the statistics on the composition of foods from 1940–1991 showed mineral content declines in fruit and vegetables of 16% for potassium to as much as 76% for copper. This trend is confirmed by various other surveys including analysis of USDA food composition data. The surveys show 60% average decline in the vitamin and mineral content of our food. The NZ Food Safety Authority issues reports on the ‘quality’ of the NZ foodbasket and maintains that we have high quality food. But what are they measuring? Just telling us that our food has good levels of carbohydrates and proteins does not cut it. It is the vitamin, mineral and secondary metabolite content that counts for real health. We simply aren’t getting the concentration of real nutrition that we need for wellness. What is happening? We’ve ignored natural soil processes – microbiology and physics, in particular – and vastly increased the application of petroleum-based artificial fertilisers and pesticides. In the 1940’s, 10 to 50 kg of water soluble fertiliser was a lot to put on a field crop. Now it would be closer to 10 times that much. Pesticide use has increased by over 3000% in the last 50 years (Pimmental, Purdue University). Bottom line is we used to grow vitamin and mineral rich food using fallows, green manure crop rotations and got similar or better yields than we do now, without the extensive use of artificial fertilisers and pesticides. Our science understanding of soil biological processes and how to grow nutrient dense crops is so much better now. We can reverse the trend of nutrient decline. Every year that passes under a biological approach sees greater soil resilience and productive capacity. So how DO we grow low chemical use, high mineral content food under a biological program? We know how to enlist microbes to contribute huge synergies to our agricultural production. We can use humic substances to markedly reduce fertiliser use. We can use tiny amounts of trace elements as foliar fertilisers to shift plant metabolic response, get better production, flavour, storage and pest resistance. The short answer is we focus on growing humus in the soil. Humus is the extremely complex, very stable by-product of microbial digestion of organic matter in the soil. 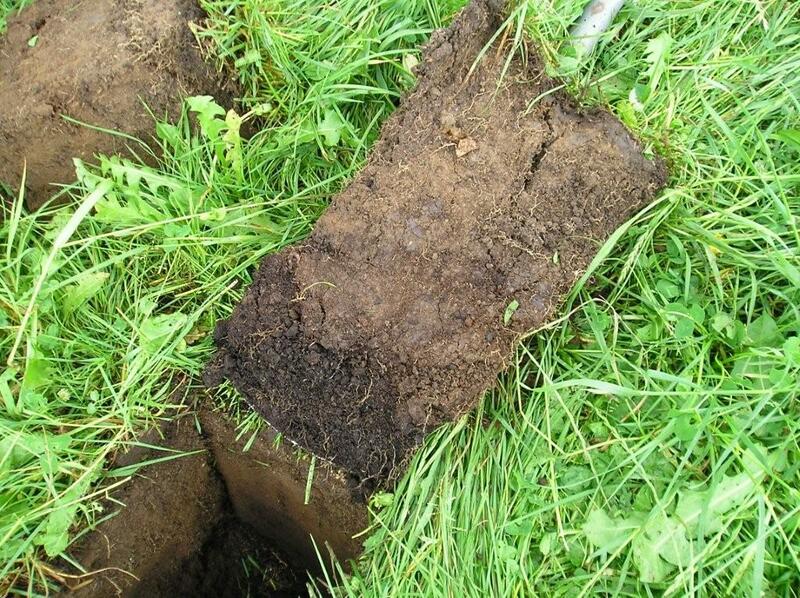 Please note that it is not the simple organic matter or soil carbon that shows up on the standard soil test. Humus is the most complex natural substance on earth and difficult to test for. The practical indicators are a darkening of the soil colour to greater depths, fine roots coated with furry, velvety soil and an increasing Brix reading in plant sap. Yes, Brix again. The more complex sugar and mineral-dense sap a plant is able to produce, the more sugars it will pump out into the soil to feed those microbes clinging to its roots. Healthy plants routinely give away 20 to 50% of their total sugar production to soil microbes. This generosity on the part of the plant increases the numbers and diversity of microbes in its root zone. More beneficial microbes in the soil increases the amount and types of mineral nutrients, antibiotics and enzymes provided to the plant roots, More nutrients increases plant production, root growth and eventually humus levels, since most humus is formed from microbial of dead roots. The major component of humus is glomalin, created by a class of soil fungi. Soil fungi are particularly sensitive to neat chemical fertilisers and to pesticides, and they are not as resilient or fast growing as soil bacteria. Every time we apply pesticides or excess un-buffered fertiliser, we are pushing the soil’s ability to create humus and nutrient dense foods, backwards. Biological agriculture is the understanding and techniques for gradually ratcheting up soil humus formation in order to produce nutrient dense food and promote environmental regeneration. This is what premium international markets are clamouring for – spray free, carbon sequestering, nutrient dense, high antioxidant food that tastes great while being good for the environment. And the NZ ‘Clean Green’ branding image is not going to be enough to convince the top tier consumers. They’re going to want the evidence along with the warm fuzzy production story. Eventually we may have to provide ORAC scores for our produce, but in the meantime Brix readings along with the simple and most powerful indicator of quality, flavour, is what we can use. Our path to profitable farming with environmental perks lies in the direction of nutrient dense, flavour-filled fruit and vegetables. The same processes and benefits apply to grass and animal production. It’s all about growing humus to create nutrient density. Crop yields tend to go up over time under biological systems so there is a synergy between increased nutrient density and production. Our increasingly savvy premium consumers are aware of most of these implications of nutrient dense food and are willing to pay top dollar for true quality. Woolworths South Africa now requires all of its growers to attend biological agriculture courses and to comply with biological programs using less fertiliser, smarter. The result for Woolworths has been increased sales, grateful customer feedback and a huge reduction in fruit and vegetable wastage, which further boost profits. Agriculture can be THE primary tool in programs to alleviate poor nutrition and ill health globally. It can be New Zealand’s ace card in the ultra-premium food market and in carbon sequestration. It can be a source of tremendous pride and satisfaction to us as producers. To achieve this agriculture needs to be humus producing, environment regenerating and produce nutrient dense food. Using the science and techniques of biological agriculture, we can accomplish all of those.